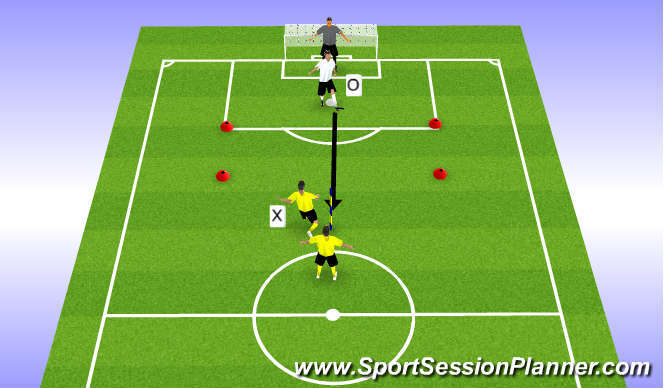 X can score through either gate or past the &apos;keeper. 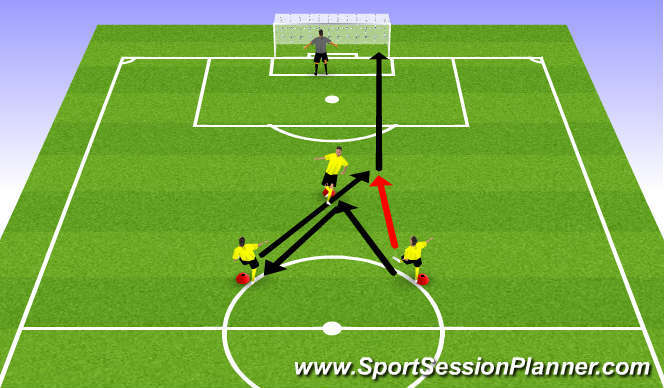 X1 must try to turn and beat X2 to score a goal. X1 passes to x2 who sets x3. 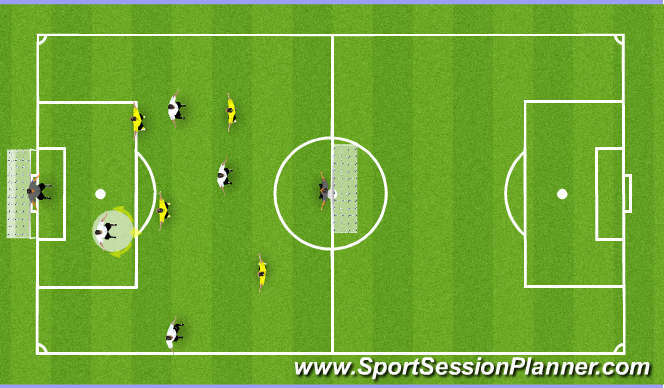 D passes ball to A, A attacks D.